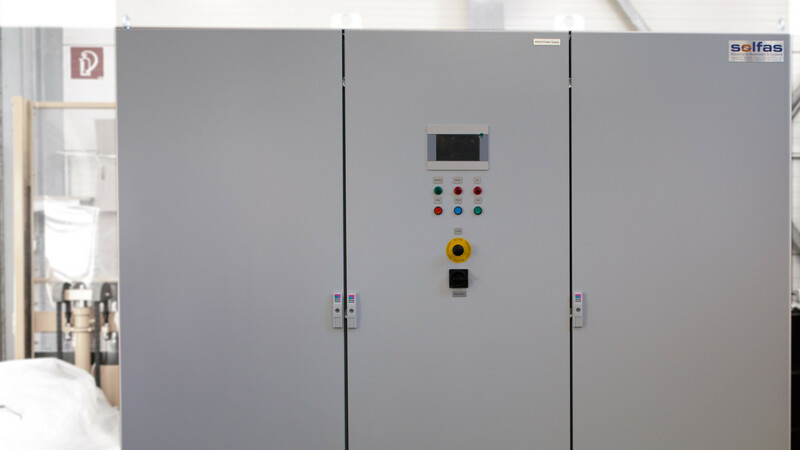 This solution was specially designed for life time tests of power capacitors with superimposed AC and DC voltage according to the standard IEC61071-1. 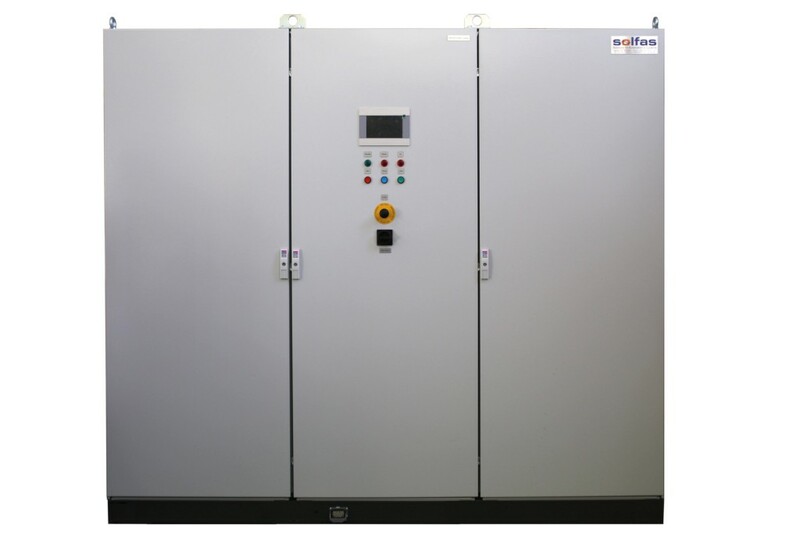 For power capacitor life time tests according to IEC61071 there is the need to apply AC and DC voltage at the same time. 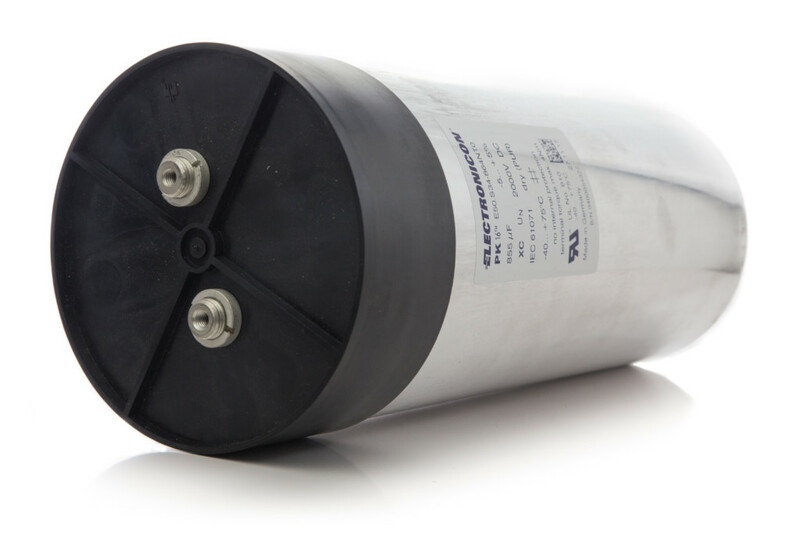 For power capacitors this is a quite challenging task because of the high currents and voltages. Two power supplies are needed, they need to be decoupled and adjusted separately. During life time test the test object may have a breakdown or short circuit, the system must be able to handle these failures without damage. The stored energy is very high and dangerous, it must be discharged to keep the operation safe. The system consists of a AC power supply and a high voltage DC power supply. The AC power supply has 3 voltage ranges and a passive inductive PFC for compensation of the capacitive current. The DC power supply is able to charge the capacitor with up to 2kV. Both supply voltages are superimposed and regulated independently. The system is fully controlled by a PLC and is operated via an integrated touch display. Remote monitoring and control is available via Ethernet and Webinterface. This system is fully equipped with a safety components according to EN 50191 and automatic disconnection and discharge to provide maximum safety for operators during every day work.